With high demand to start an Amazon affiliate business, Andrew Peterson took this opportunity and created The AZ Code (The Amazon Code). It is said that this system can make it easier for people to make money with Amazon. The AZ Code is listed inside ClickBank which is the largest affiliate network of information products. This listing is adding credibility to the product. However, like 60 Minute Profit Plan, American Online Jobs and Second Income System, sales video of The AZ Code makes it seems like it's so easy to earn an amount from $3,000 to $40,000 Amazon commissions. Is The AZ Code really as simple as it claims? Let's find out What is The AZ Code About and how this system is able to help you make $3,000 to $40,000 in Amazon Commission. What Is The AZ Code About? Is The AZ Code As Easy As It Claims? What I Like About The AZ Code? What I Don't Like About The AZ Code? How To Make $3,000 in Amazon Commission? Summary: The AZ Code is a low quality ebook on Amazon FBA that's not worth what you are paying for. There are many fake testimonials, fake income proof and even the unknown owner is hiding behind his/her computer. According to the sales video, The AZ Code is a powerful system that can help you make thousands of dollars in Amazon Commission. I guess this must be some affiliate marketing system leveraging on promoting Amazon products. Inside the sales pitch, there are many success stories and income proof of people making more than $40,000 with Amazon. It further claims that The AZ Code system can help ordinary guy with no knowledge on internet marketing make so much money easily and quickly that people who follow the system will never have to work again! 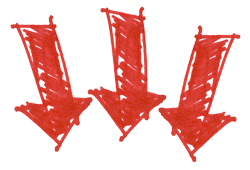 The AZ Code does not encourage people to try making money without some form of support from their system, as the failure rate can be very high. After watching the video, it's still not clear as to what The AZ Code is about. Therefore I decided to take advantage of their 60 days money back guarantee and buy the system through ClickBank. Here's my proof of purchase. Apparently The AZ Code is just a 70 page “text-packed” ebook that share with you what you should do to setup an eCommerce business on Amazon. The process of selling on Amazon is called Fulfillment By Amazon (FBA) which you can learn by going through FBA page. The video below will explain in detail about FBA. There's nothing inside The AZ Code about earning affiliate commission as pitched through its sales video. And to tell you the truth, in order to start this business, you need to invest heavily to buy stocks upfront, ship to Amazon warehouse and ultimately pay for advertisement to drive traffic. Here's what you need to do. Below is Table of Content of The AZ Code. There are so many things you need to learn on your own such as different third party platforms that includes JungleScout, WriteWords, SpeedyBarCode and KeywordInspector. What The AZ Code provides you are information on “WHAT” to do, but nothing teaches you about “HOW” to do. You need to figure it out yourself. Affiliate marketing is consider easy to start and as long as you do not mind to take the risk of losing money from buying advertisement during initial stage, the route to success can be shorten. 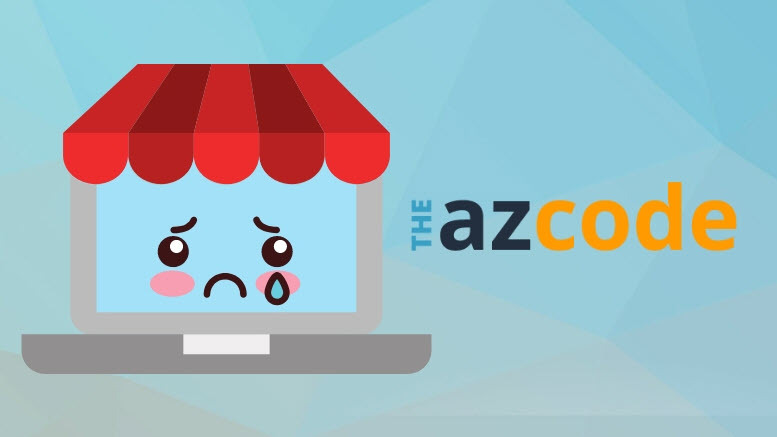 Unlike affiliate marketing, The AZ Code is telling you to build everything from scratch like a typical brick and mortar business, except you are selling on Amazon. Like any brick and mortar business, it takes time to be good at something. There are just just too many things to learn if you've never done any online business before. And most likely you will give up before mastering the skills. Making more than $10,000 income from Amazon in the very first week using The AZ Code is NOT possible. The sales video is so misleading! If you think by paying $37 (published price) or $27 (discounted price) for a system like this can make you $40,000 richer, then be ready to lose your investment or buy more of their upsell. I suggest you to take advantage of the 60 days money back guarantee, and ask for refund just like me. Data Protection Policy: The AZ Code tell you upfront that they are going to protect your personal data and will only release to third party that forms part of their system. 60 Days Money Back Guarantee: Most of the scam products are not able to list inside ClickBank as this affiliate network is one of the most reputable company that hold strongly against fraudulent behavior. When you make any purchase through ClickBank, getting a refund is 100% guaranteed. Super Hyped Up Claims: LOL, do you believe you can make $10,000 in the first week as a complete newbie, just by paying $37 for an ebook? If everyone can EASILY achieve this, I think anyone who bought The AZ Code will become rich overnight. Let's be practical, there's no training inside The AZ Code at all. What you get is merely a “what you should do” to sell on Amazon. You are not taught HOW to do it. Fake, Fake, Fake: Is Andrew Peterson from Wisconsin the real owner? I don't think you can ever find out. In order to make you buy, there must be slumdog millionaire story to tell. But the fact is neither you nor myself can find any information about this person. I really wonder how The AZ Code can list their product into ClickBank when not even the owner can be traced by consumer. Even both the testimonials are paid actors from Fiverr. Do you really believe the income statement is real too? If everything is fake inside The AZ Code, then what can be real? No Correlation Between Advertisement & Real Product: Now, this is the biggest form of deceiving act. Inside the sales page, The AZ Code claims people are making affiliate commission, but in actual fact, the 70 page ebook only share about what you have to do in order to participate in Fulfillment By Amazon. There's nothing about affiliate marketing at all. 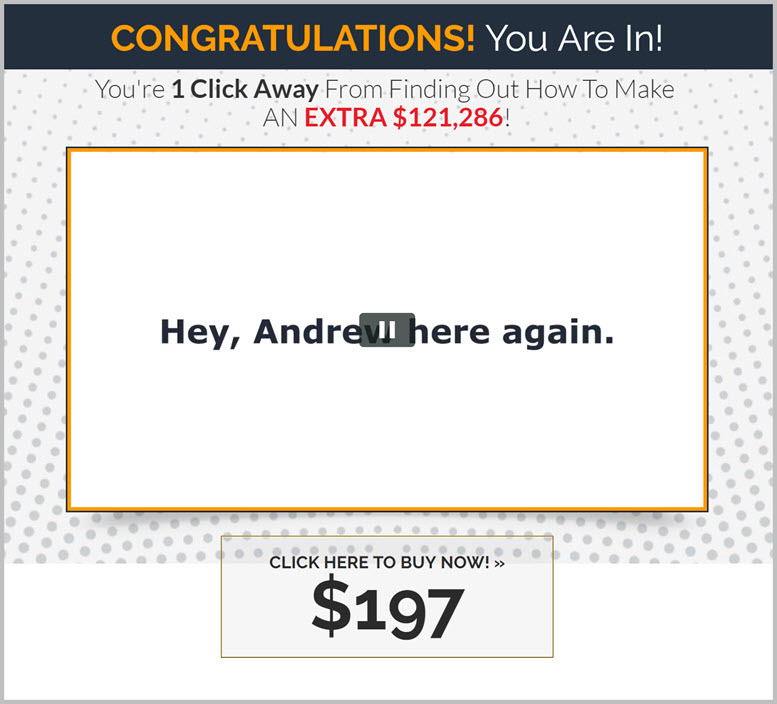 Upsells $$$: As expected, immediately after I completed my purchase, there is an upsell of $197 to buy The Amazon Code PRO that promises you to make an extra $121,286! There are in fact more upsells inside. That's also why anyone can earn up to $199 commission per sale if you become affiliate of The AZ Code. Unauthorized Access to Free Website: Being a Malaysian, I am not authorized to access the bonus website. Restriction on Malaysia was never made known to me before I purchase. This is a shortchanged. Chinese Version of John Crestani Workshop: Ok, I am a Chinese but I can't write. I really don't understand why is there a Chinese version of John Crestani Workshop. Anyway I got myself registered and guess what???? There are a few factors that I will consider before calling another product as scam. The fact that The AZ Code promised not to sell your personal data is already adding credit to this system. However, the super hyped up claims to help you make $3,000 to $40,000 Amazon income is misleading with intention to deceive. Adding to this are all the FAKE, FAKE, FAKE testimonials used in their sales video. If this program is really good one with high value, I believe a lot of people will endorse it without the need to pay for Fiverr spokesperson. Even the real owner is suspicious. One last thing is the lack of correlation between the sales video and actual product. Inside sales video, it claims to help you make affiliate commission but the actual product is teaching you how to source products from China, shipped to Amazon warehouse and sell to make profit. 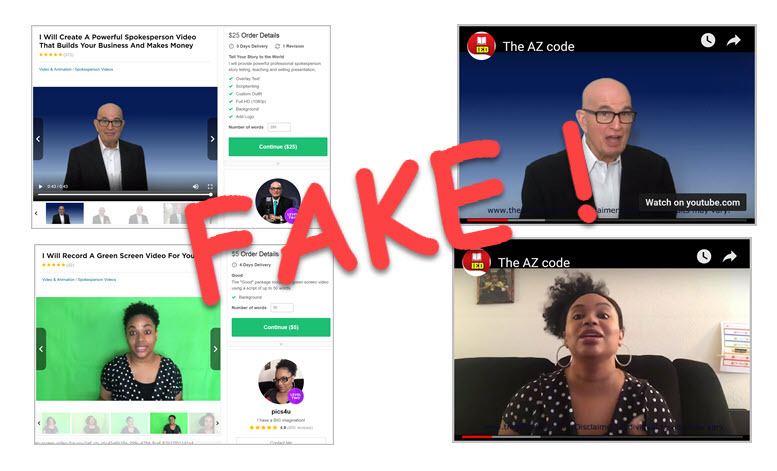 It's either the owner of The AZ Code does not know how to differentiate between affiliate marketing and selling own products or the mistakes were done unintentionally. I can't say this product is a total scam but misleading information and intention to DECEIVE are definitely present. 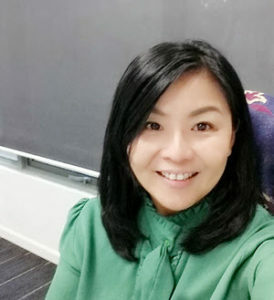 Now, it's up to you to decide whether buying into an ebook at $37 whereby the owner is not even truthful with its promotional content is what you really want. How To Make $3,000 to $40,000 in Amazon Commission? Setting up an eCommerce site is easy but running one and make it a profitable business is a totally different ball game. The good news is there are indeed tons of people out there making decent income from Amazon. And there're in fact “known” secrets to their success which you need to learn. But unfortunately, it's never shown inside The AZ Code. Some tactics that you need to know include how to find a profitable niche, target your customers, deciding on margins, market your business, drive traffic and how to delight your customers. If you are really interested to start a small business online promoting Amazon products as an affiliate, I have a good program for you. Whether you plan to build an eCommerce site, start a blog or do both as the basis to make money as Amazon affiliate, this program will be your best fit. You can start learning absolutely for free by clicking this link. I can't guarantee your success, but this is the program that helped me quit my day job in another few months time and concentrate full time doing affiliate marketing. Before me, many people are already earning 6 figure income consistently after learning from this awesome program. You can check out my review about this program here. Inside this review, you can find many testimonials and income proof from real people. You are even able to contact these super affiiates personally within 7 days after you sign up for free Starter account. I hope my article on What is The AZ Code About has given you a good idea on how to make money on Amazon. If you have any question to ask, please leave me a comment below. 8 Comments on "What Is The AZ Code About? (Amazon Profit Made Easy)"
AZ Code is something that I had never heard about until today when I happen to see your post on Twitter. I am actually doing affiliate marketing and have promoted Amazon products. It’s great to make money as Amazon’s affiliate. However, there’s a huge difference if anyone is doing Fulfillment By Amazon. There are too many things to learn. The idea of having to source for my own suppliers from China already scared me. Luckily I stumble upon your article. Otherwise, I might be tempted to buy The AZ Code as the sales video is pretty convincing. I’ve bookmarked your site and will come back for more reviews. Thanks for sharing. Thanks for finding my The AZ Code valuable. I am not a fan of buying products in bulk and sell on Amazon. Too much investment and work without even including how much more investment I must put in for marketing. That’s why I prefer to promote affiliate products. At least I don’t have to worry about stocks and delivery. Marketing is my forte, and I just want to focus on that. But I was lucky to start affiliate marketing with Wealthy Affiliate. If I’ve started with those low quality program like The 60 Minute Profit Plan, Second Income Center or American Online Jobs I don’t think I can make it so far. I find amazon is the best site for buying, as it has a massive range and it is worldwide. Thats why I choose amazon products to promote on my website too. I didn’t know about The AZ Code before now so thank you for opening my eyes up to this. You are welcome Jayde. This is also the first time I heard of this system. But seriously, this is not even close to be called a system. The most is just an ebook with basic content that should be given away for free than to charge $37 for one. 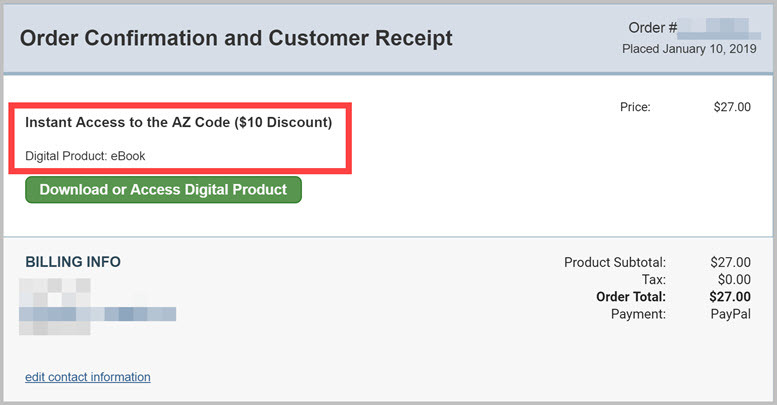 I don’t think anyone who purchase The AZ Code can make money just by reading the entire book. Content is just too vague. I’ve seen many members of Wealthy Affiliate successfully promote affiliate products and make 5 to 6 figure online. What they need to invest is just their time to make this work. Don’t even have to pay for expensive advertisement. Anyone can access to some free high quality step-by-step training lesson to identify a niche and start a website. That’s what I call it real value. I am already an Amazon Associate, as its called, and so far I am happy with it and with the sales I make. I know, there is the commission only then rather the wholesale and profit of it but, it is ok for me at this point. I have a read your review on AZ Code carefully and during the read, I felt already a knot building up in my stomach, which is always a sign that something isn’t right there. It might be not a total scam, as you said, but I do believe that it is. These constant upsells are enough for me to give it a red flag. And they didn’t even warn you that you can’t access a certain website because you live in Malaysia? I personally will thank you for signing up for a trial version so you can see what is this AZ code all about and write your wonderful review to warn the rest of us. This is how I see it, again, thank you for sharing the information appreciated. Thank you for reading my The AZ Code review. I am one such person who really dislikes upsell. I prefer everything lay out as it is. That’s why I decided to take up affiliate training lesson inside Wealthy Affiliate. At least I know what I am getting for the amount of money I am paying. Not sure for what reason this seller is not providing support to Malaysian. Just so weird. Hi Florence! I’m really glad I have come across your site. And this review has answered the couple of questions I had when I began to research. I really don’t like over-hyped promotions! They scare me. You believe this may not be a total scam but the intention to deceive is present. That alone is enough for me to run really far away from them. Are you also making money from your website? Can you teach me how to do it? Hi Henry, thanks for reading my review on The AZ Code. Yes, I do make money through blogging. Started quite some time ago already. 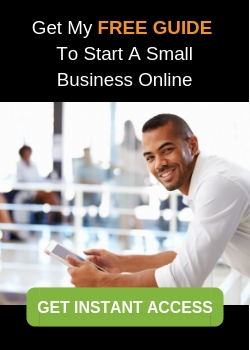 If you are interested to start a small business online, here’s a free guide that shows the exact strategy I use to start mine. Hope this helps.